For fine granules and powders that can be poured through a small funnel. Test is performed by pouring the material through a funnel into a cylinder of known volume. The apparent density is calculated by dividing the weight of the material in the cylinder by the volume of the cylinder. 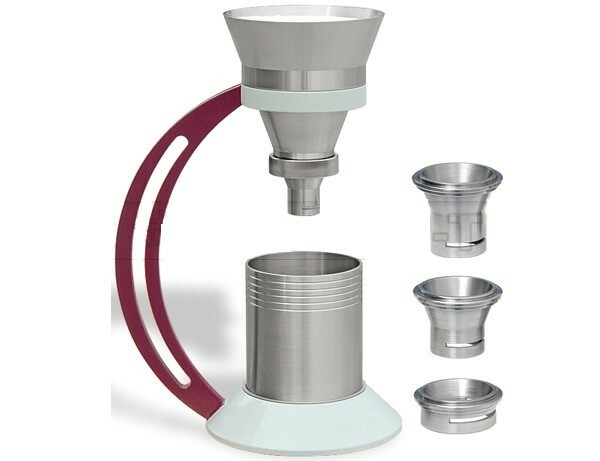 For coarse, granular materials that either can't be poured or that pour with difficulty through the funnel from Method A. For coarse flakes, chips, cut fibers or strands that can't be tested with Methods A or B. Test is performed by pouring the material into a graduated cylinder and allowing a 2300g plunger to pack the material for one minute. The apparent density is taken as the mass of the material divided by the settled volume.